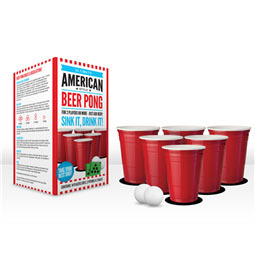 This year, give them the gift of beer pong! As you get older, birthdays gradually become less enjoyable. Once you're past, say, 21, this annual reminder that another year of your life has slipped away just makes you kinda miserable...and it doesn't help that everybody's bought you socks. Again. So, if somebody you know is having a birthday soon, why not get them this awesome Birthday Beer Pong Set? It's a nice change of pace, but more importantly, it'll give them a great way to take their mind off the inexorable march of time. And all for a teeny-weeny price! 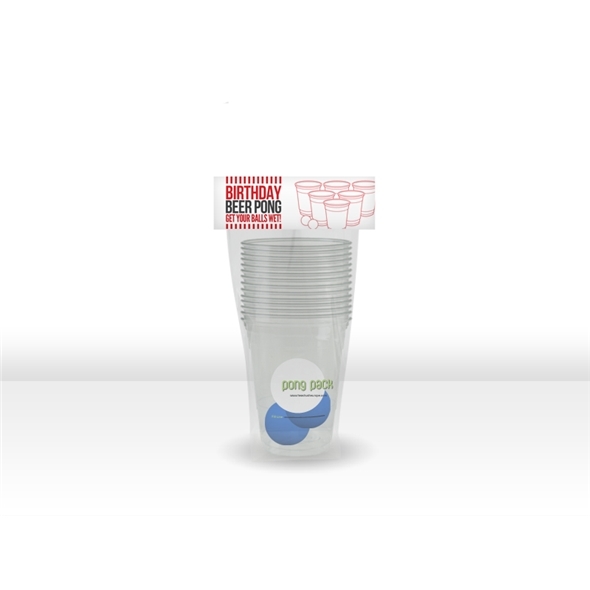 This brilliant beer pong gift pack will make a fantastic birthday present for any party animal. We've included more or less everything you'll need for a game of one-on-one pong; each player gets six cups each (plus a cup for washing) and a ball to throw at the other person's cups. What better way to liven up a birthday party?